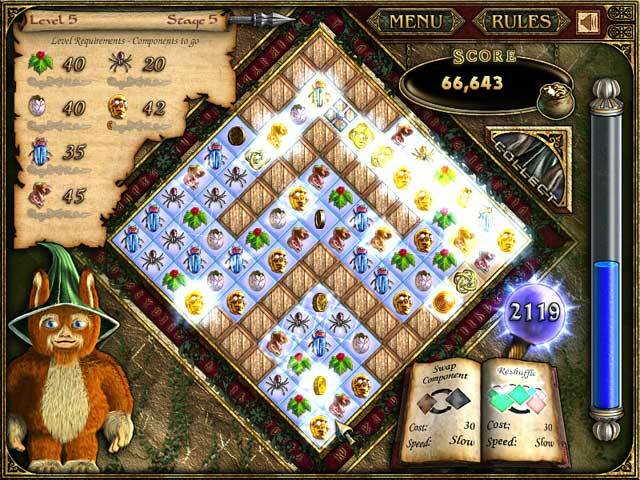 Magic Match is an opulent puzzle game with an enchanting theme. 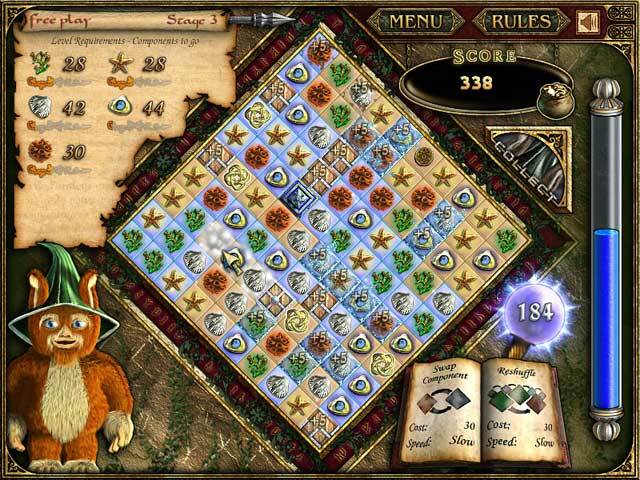 Explore mystical realms in the Lands of the Arcane with Giggles your helper imp by your side. 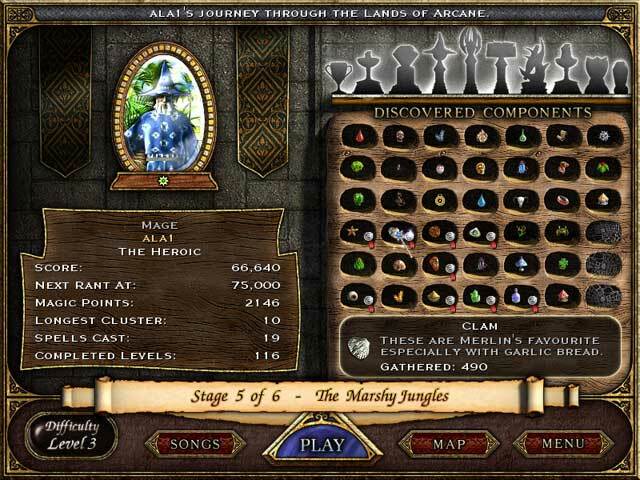 Earn magical bonus spells as you journey through different stories in this wonderfully engrossing experience! Beautiful cut-scenes present a captivating story, and lots of power-ups and special features will keep you enticed.